Global ethical gold trading platform for mobile phones, Goldex, recently announced it secured £1m (about R18m) in a pre-Series A funding round by a group of angel and institutional investors. According to Sylvia Carrasco, CEO of Goldex, she wants to make investing in gold accessible and encourages the idea of buying gold rather than cryptocurrency. "We are a B2B to B2C platform. We want to cover all angles," she tells Fin24. Her funding round was supported by: Prepaid Financial Services (a European payment card issuer); Gaël de Boissard, former Executive Board Member of Credit Suisse; Richard Balarkas, former president and CEO of Instinets; and Craig James, founder and CEO of Neopay. Carrasco was part of the original team that set up the AES (Advanced Execution Services) desk at Credit Suisse. She tells Fin24 that five years ago she was examining gold investments for her personal portfolio. It was then she realised that in an unregulated industry and with OTC (where securities are traded other than on a formal exchange) customers did not receive the best prices, in her view. "Providers were under no obligation to offer 'Best Execution' prices standard in other, regulated asset classes. In the process, I recognised the outdated approach to trading mainly conducted over the telephone," she explains. "Electronic trading found in other asset classes was missing for gold. It was then that I decided to research and set up Goldex, using my vast experience as an early pioneer in electronic trading." Asked what makes Goldex different, she says the platform aims to be the first technology gold provider that does not own any gold so that it is not conflicted with its users as it does not generate profits from gold prices or spreads. 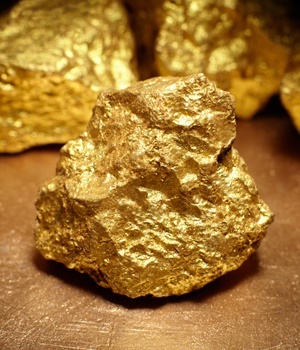 "On our agency business model, we receive the best bids and offers from a variety of gold providers and then present a consolidated price tape for customers. With a single click, our unique, smart technology guarantees the best execution price available to all our customers buys and sells," she says. "Gold is fast becoming mainstream, featured in the news nearly every day. The economic situation is dire: equities are in a bubble about to break and there are geopolitical issues such as Brexit, the Trump administration and Chinese trade being under pressure." In her view, the US dollar, British pound and European banks are "suffering tremendously" at present and "the spiralling out of control" of worldwide debt is making gold an attractive asset class to buy. "Gold will always be the ultimate refuge when other asset classes tank," she says.